Are you entitled to make a claim? Car accident compensation claims may not be foremost on your to-do list following a trauma, but they are proven to alleviate post-accident pressure and stress. If you are a driver, passenger, pedestrian, or cyclist involved in a road traffic accident and deemed not at fault, is theoretically, entitled to make a road traffic accident compensation claim. Our dedicated team of adept no win no fee solicitors could help! * Occurred whilst driving your own car, because of a third party. * Was caused by the negligence of a third party driver (e.g of a lorry, bus or car). * Resulted in injury to yourself, if you were a passenger in the car involved in the accident, or that which was hit. * Caused significant injury to you as a pedestrian. * Involved serious injury to you as a cyclist, or motorcyclist. * Developed a post-trauma injury, such as whiplash. If you’ve had the misfortune of suffering in a road traffic accident that wasn’t your fault, you could be entitled to a car accident compensation claim, offered on a transparent no win no fee basis. Road Traffic Accidents – Are you entitled to a claim? Road traffic accidents are an inevitable risk all drivers take. You may go years without ever having been caught up in a prang, only to find yourself suffering whiplash or a more serious injury due to third party negligence. Car accidents are defined as any occurrence resulting in damage or injury, proven to be at the fault of another motorist – accidental or otherwise. Whiplash is a common post-trauma injury suffered by car accident victims, often resulting in symptomatic repercussions such as headaches, dizziness, neck and shoulder pain, spinal pain, or numbness in the upper limbs and hands. Should you suffer from any, or a combination of these symptoms, we advise seeking medical assistance at your earliest opportunity. 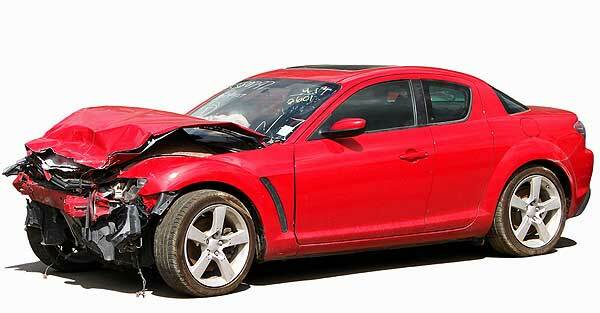 All car accident claims are handled by a crack team of personal injury specialists. We provide full mediation and arbitration services for thousands of car accident claims each year, arranging payouts that take into account both your personal circumstances and problems arising as a result of your accident. This also includes provision of a free replacement vehicle in the event your car has been written off, and in some cases, free vehicle repair. Get started today with our handy compensation guide and see how much you could claim! If you would like to speak to one of our advisers in confidence regarding a road traffic accident claim, please call us on: 08 Alternatively, please use our simple, online application form in the first instance and a member of our team will be assigned to take your call.